The 101? How long has it been since DirecTV went by that name? 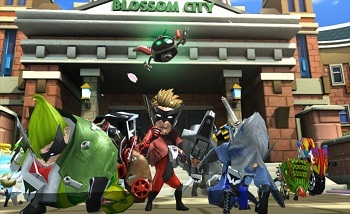 The Wonderful 101, Nintendo's superhero action Wii U title, has hit a trademark snag. Its application to register The Wonderful 101 has been rejected on the grounds that it might cause confusion with another trademark: The 101, i.e. DirecTV, distributor of radio programs, entertainment services - including online computer games - and a host of other stuff. Now better known as the Audience Network, incidentally, as it no longer goes by The 101. "In this case," the Refusal to Register states, "the addition of the laudatory term WONDERFUL does not change the overall commercial impression of the mark created by the wording 'The 101.' Use of these marks on closely related goods and/or services is likely to result in confusion." Nintendo has already responded by claiming that, yes indeed, the addition of the laudatory term Wonderful does change everything, particularly since Wonderful precedes 101. Consumers will look at that Wonderful and be amazed, stunned, gobsmacked, utterly enthralled; the mere addition of a 101 on the back end is nothing to be concerned about. "The inclusion of 'Wonderful' in applicant's mark adds a sense of power and significance to the mark that is not conveyed by registrant's mark," says Nintendo. "The term 'wonderful' connotes 'wonder,' a term that people are naturally drawn to due to the potential and mystery that it implies." An argument not without charm, though whether the folks at the Trademark Registration office will see it that way is an open question. Besides, Nintendo argues, Nintendo sells games for people to play on its consoles. That isn't what DirecTV - which hasn't used the 101 title in a while, Nintendo notes - does; online computer games are a DirecTV sideline. DirecTV has a completely different market share, so there shouldn't be any significant confusion. Surely the Examining Attorney agrees, Nintendo coyly suggests? But whether that's so or no is, as yet, undecided.